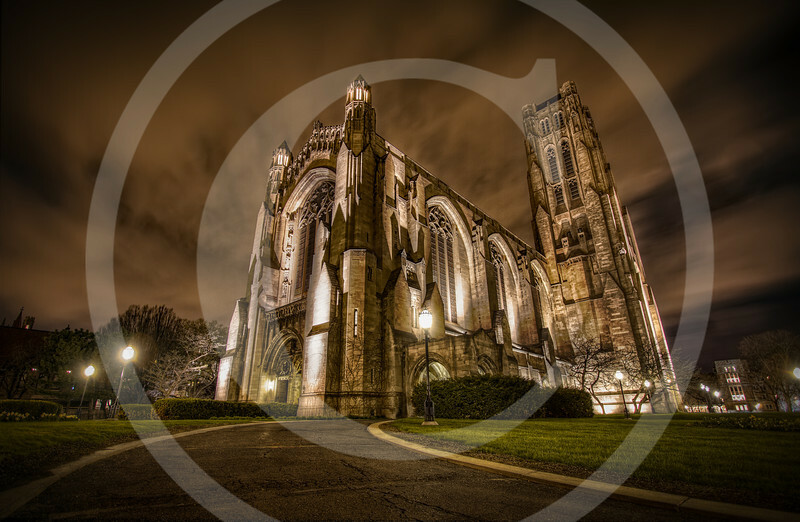 The Rockefeller Chapel was designed and erected to be the center and dominant feature of the University of Chicago. Located in the University of Chicago, this beautiful building has become an integral part of the campus. Rockefeller Chapel is an incredible place and don't let the term "chapel" fool you. It's huge and simply magnificent, with one of the largest if not the largest pipe organs in the state of IL. During sunset the light shines through the stain glass and lit up the interior. As the sun goes down the exterior too, is equivalently beautiful.